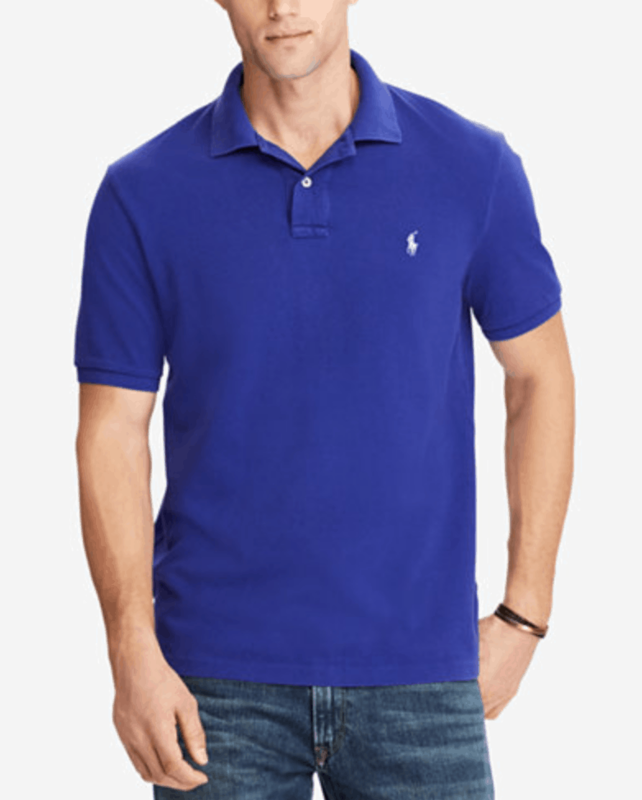 Polo Ralph Lauren Mens Classic Fit Polo Shirts Only $28.93 (56% off)! These Polo Ralph Lauren Men’s Classic-Fit Mesh Polo are available right now for only $28.93 from Macy’s right now. This is 56% off their regular price! They are available in 17 different colors, so plenty of flexibility. These are a classic and iconic shirt, a must-have piece in a men’s wardrobe. Don’t forget that through 9/4, you can get an extra up to 20% off at Macys.com with coupon LBDAY. Halloween is coming up quickly, and this is a great time to shop for anything you need for the holiday at a discount. There is a One-Stop Scare Shop included in today’s Zulily deals where you can grab costumes, Halloween-themed clothes, DIY projects and household items, among other things. Grab cute leggings, leg warmers and clothing for yourself during the Lemon Legwear sale. I love these Oxford Apple Picking Leggings because they have the ribbing I love. Get these for $12.99 (reg. $24). Looking for a cute new sweater to wear when the weather gets cold? This Oxford Powder Cable-Knit Dolman Poncho looks nice and cozy, and is perfect to wear with jeans and leggings. This is on sale for $39.99 (reg. $75). Leg warmers are fun for women to wear, and these Oxford Barre Stripe Leg Warmers would look fabulous under your favorite boots. These are priced at $12.99 (reg. $20). And, get the kids some new clothes for the kids during the Gymboree sale. There are some adorable Halloween-themed pajamas like this Pink Cat Halloween Nightgown, which is on sale for $13.99 (reg. $27). Boys will love this Orange Pumpkin Face Halloween Pajama Set, priced at $12.99 (reg. $25). And, if your little one likes glitter shoes, she will go crazy for these Pink Glitter Heart High-Top Sneakers. Get these for $14.99 (reg. $35). Want to donate to Hurricane Harvey relief efforts while also showing your support for Texas? These Texas Strong Tees are the perfect way to show how you support those who were affected by the hurricane. Get these for $13.99, down from $28. All proceeds from the sale of these shirts will go to Hurricane Harvey relief. I wear tees all the time, and I love these because it shows the solidarity for my friends and family affected by the hurricane. You can wear these with anything – your favorite jeans, leggings, shorts and even cute, casual skirts. I love the fact that I can get a cute tee AND my money will go to disaster relief. Below is a list of some of the best FREE and Cheap e-books you can download on your e-reading device today! Don’t have a kindle? That is okay! You can read kindle books on computers and most smart phones and tablets – iPhones, iPads, Android Devices and more! Flexible Silicone DIY Cake Baking Molds Just $9.95! Looking for some flexibility when you bake? You can have that with these Flexible Silicone DIY Cake Baking Molds available for just $9.95! 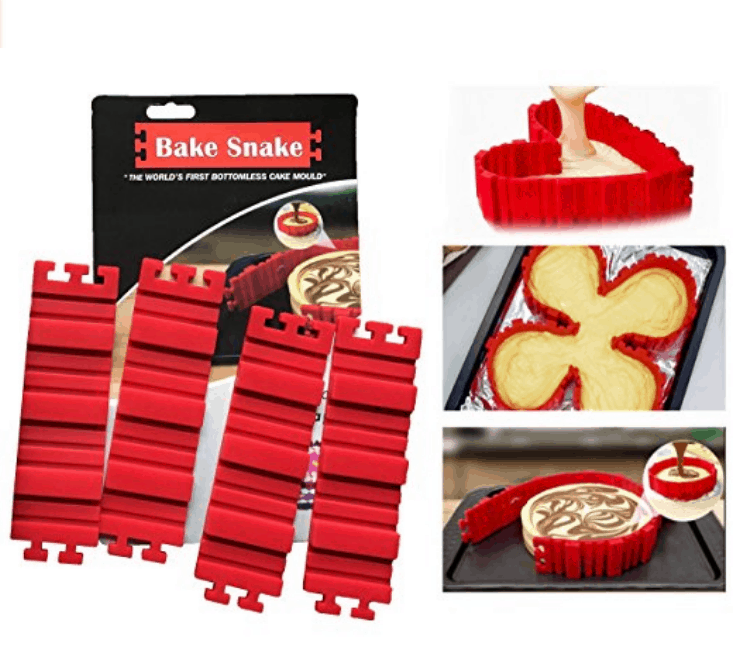 You get four food-grade silicone baking mold snake pieces that can easily be combined in multiple ways in order to create sweet delicacies in a variety of shapes; rectangular, triangle, square, oval, round, heart, flower and much much more! Just pick a shape, connect them together to create it, pour in your cake mix and put it in the oven! Clean up is also a breeze, just remove, rinse or stick it in the fish washer. These molds have tons of five star reviews. I’ve been wanting these farmhouse cathedral windows for a long time now. They can be pretty pricey, so I’m excited to see them on sale. Get these for your home decor for $39.99, down from $60. I am slowly but surely changing my home decor to a more farmhouse style These windows are made from birch wood, and you can stain them or paint them to match your home. Hang these on the wall with a wreath on it. You can also add a monogram to the wreath, too. I’ve been wanting these to combine with a faux cotton wreath. I think that would look fabulous and totally Joanna Gaines-esque. Amazon: Free $10 Gift Card with $35 Purchase! Amazon has an awesome Back to School promotion going on! If you are an Amazon Prime member spend $35 on select personal care and household products and get a FREE $10 Amazon gift card with your order! You can check out he participation products here. It includes a lot of items you use every day from brands that you love! Just make sure to add the free $10 Amazon gift card to your order so that it can come free with it. This promotion is available through 9/12. If you’ve been wanting to save even more on your Zulily purchases, we have a $10 savings for you! For a limited time, when you check out with Masterpass, you’ll get $10 off your purchase of $20 or more! There are a ton of amazing sales included in today’s Zulily deals that you can use this discount on. If you’ve been wanting new fall and winter clothes for yourself, you can get some fabulous items during the Olive & Jane sale. I love the loose fit of this Wine Button-Accent Crewneck Sweater, which is the perfect top to pair with leggings or jeans. Get this for $24.99 (reg. $38). Blanket scarves are a great way to keep warm when the weather is cold, and I love the colors on this Ivory & Red Plaid Blanket Scarf. This is on sale for $16.99 (reg. $35). Treat yourself to cute new boots for winter during the Heritage Collection by MUK LUKS sale. I love the look the different materials on the Oatmeal Nikki Boots has. You can get these for $49.99 (reg. $99). These Navy Felicity Boots are super cute with the knit material and would look fabulous over leggings or skinny jeans. These are on sale for $24.99 (reg. $79). And, get cute new Dollie & Me outfits for your little girl and her doll during the Lilli Lovebird | Girls sale. The deep colors on this Black & Burgundy Ella Dress & Doll Dress Set make it perfect for winter. Get this for $21.99 (reg. $50). I am totally in love with the colors and style of this Navy & Burgundy Roses Pia Pixie Dress & Doll Dress Set. This is priced at $24.99 (reg. $60). Don’t forget – you can get $10 off your purchase of $20 or more when you checkout with Masterpass. This is a fast, simple and secure way to pay when you sign up using any major credit or debit card. There’s no need to type in card numbers or shipping details. Just click, tap, or touch the Masterpass button to pay faster. 1. When you’re ready to pay, click on the “Masterpass” button. 2. If you have an existing Masterpass account, simply sign in using your email and password. 3. Don’t have a Masterpass account yet? Click “Sign Up”, add any major credit or debit card and your billing address. 4. Then simply confirm your purchase and you’re done! Now you’re ready to pay securely wherever you see the Masterpass button!